Hydrostatic pressure refers to the mass of a stationary liquid at a given point of measurement. 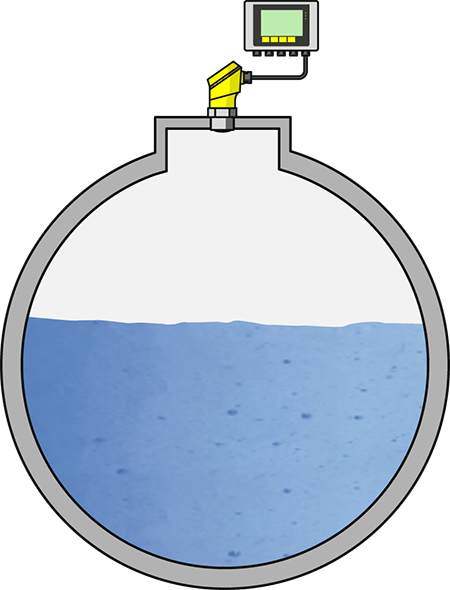 As level increases inside a tank, the hydrostatic pressure increases proportionally. Thus, the higher the hydrostatic pressure measurement, the higher the liquid level measurement. Making this measurement requires installing a pressure transmitter on a tank so the instrument’s measuring cell is submersed in liquid. The transmitter measures hydrostatic pressure and converts it to a level measurement reading based on the equation below. What are the advantages of hydrostatic level transmitters? Hydrostatics have been in use in the process control industry for a long, long time. They are field-proven and familiar to users in many industries. Hydrostatic level instruments provide a reliable, accurate liquid level measurement even through adverse conditions in a tank such as foam, agitation, and obstructions. Users do not have to consider dielectric constant, and the instruments are easy to calibrate. While hydrostatic level measurement is a process automation mainstay, the sophistication of the sensors is constantly increasing. 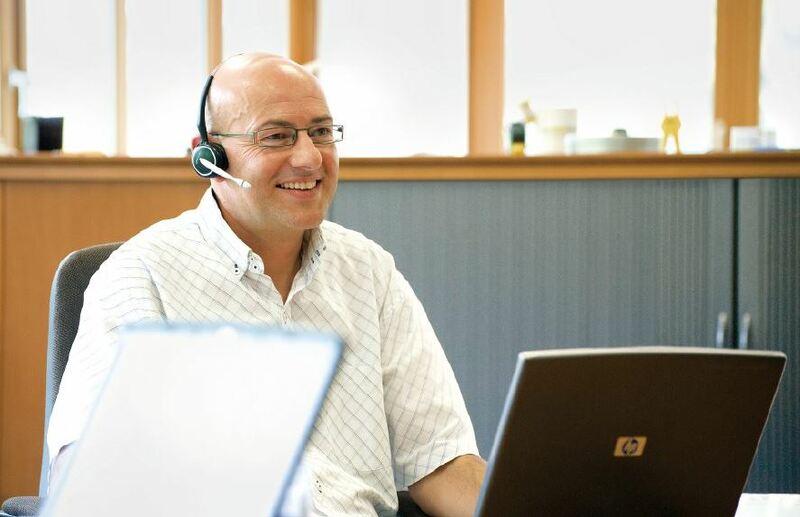 Users are now empowered to choose the best measurement cell material for their process. For example, VEGA offers dry ceramic measuring cells for abrasion resistance and durability as well as metallic measuring cells allow for reliable measurement of many different liquids. What are common applications for level measurement using hydrostatic pressure sensors? Calculating hydrostatic level accurately means having known specific gravity and density measurements for the product inside the tank or vessel. Because of the importance of these two values, hydrostatic transmitters are used in applications where specific gravity and temperature (because it changes liquid density) are consistent and predictable. Hydrostatic transmitters are often found in open or vented tanks in industrial plants or in reservoirs and open channels in water and wastewater treatment applications. 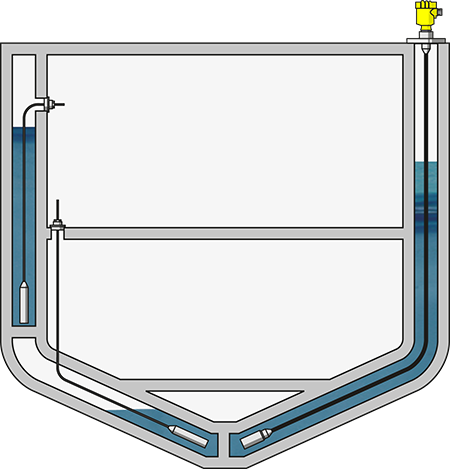 A closed tank would require a second pressure measurement of the gas pressure above the liquid. Wastewater from households and businesses together with surface water, is carried to the wastewater treatment plant via an extensive sewer system. 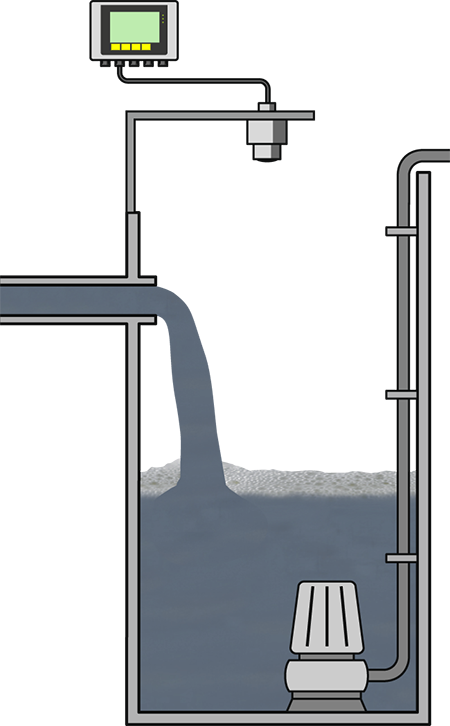 If the natural gradient is not steep enough, numerous pumping stations are required to create a sufficient height difference. The process water is collected in tanks or open basins. pumps convey the water for cleaning and rinsing to various locations in the wastewater treatment plant. The ballast water measurements in the wing and double bottom tanks go directly into the control system for the ship trim, draught and list. Since these measuring points are virtually inaccessible during operation on board, reliability and stability are an absolute must. Pressure shocks, abrasive sand particles and seawater place additional heavy demands on the instrumentation. Which of VEGA's hydrostatic level transmitters is right for your application?